I felt I must email you to let you know how pleased we are with Kathryn and James wedding photograph album. It is absolutely wonderful and captures every minute of their very special day. There is no doubt in our minds that you both worked so hard that day to ensure that every memory was recorded perfectly. Therefore I need to say a massive ...”thank you”...... to you both for the help and guidance you gave us before the wedding and then on the wedding day only to be surpassed by the end product of a perfect wedding album with every detail in it to always remind Kathryn and James of their very special day. It will always be a very precious item to them. 2tone photography are the most professional and competent photographers we spoke to in our search for a fantastic wedding photographer. We were lucky enough to be able to book them for our wedding in July 2010. From the start Nigel and Chrissie were nothing but amazing. Any questions or worries we had were answered promptly. Not only was the process smooth, but the end result was phenomenal. We as well as our family and friends are incredibly thankful to Nigel and Chrissie for capturing our wedding day and night perfectly. There wasn’t one detail missing, one shot they hadn’t captured, they had thought of everything. All our little personal touches were captured, something we know some photographers do not do. We would highly recommend using 2tone photography’s services, they are second to none. We just want to say again thank you so so much. Our photographs are absolutely fantastic, we couldn’t be happier with them. It has been so difficult to choose the photo’s for our album because they are all so gorgeous. They completely tell the story of our special day and well and truly capture those special emotions. We want to say a huge thank you to you guys. Our wedding pictures are totally amazing, everything we could have wished for and more. We want to say a huge thank you for everything you did for us on our Big Day, you both went way beyond the call of duty for wedding photographers and we appreciate it all so much. Chrissie - you were like a third bridesmaid to me, you did everything from dress me, get me umbrellas at the slightest hint of rain and locate my groom for me on several occasions during the day and evening proceedings! The boys will be eternally grateful to Nige for sorting out the every buttonhole in the wedding party and keeping them all right with where they were meant to be and when! Steven’s dad is very interested in photography and has never stopped raving about the two of you as he has been to many weddings where he has pretty much been asked to step aside and yet he felt so comfortable being able to ask you questions about what you were doing and thoroughly enjoyed chatting to you about your work. David and I had already had the pleasure of meeting Chrissie and Nigel at my sisters wedding a year earlier. We met them on that day and were so impressed with how lovely, friendly and professional they were. They made you feel completely at ease straight away. After the ceremony I can honestly say it was like having two extra guests at the wedding who we felt we had known for sometime. They were both an absolute delight to have with us on that special day. Our minds were already made up and upon seeing the photographs and album from my sisters wedding we booked them straight away, and they did not disappoint. The fabulous benefit of having both Chrissie and Nigel photograph the day, was that every memorable moment was captured, and in such a beautiful way. We especially loved all of the natural photographs that were taken of both guests, the setting and ourselves. Their unique artistic skill has ensured us so many stunning and timeless images that we can treasure always. We were so over the moon with the finished results that we decided to buy two albums as we didn’t want to run the risk of missing out on any of the fabulous pics they had taken. A massive thank you for making our wedding day perfect. Our special day couldn’t have gone better and it was truly down to your knowledge, getting the group shoots done so efficiently outside the church and then whisking everyone off to Matfen. We had a lots of positive feedback about how good you worked has a pair and blended in so well into the wedding, when often other wedding photographers run the show!! We would like to thank you for the fantastic job that you have done on our wedding photographs. There are so many great photos, it’s so difficult for us to choose... we just have to buy them all! 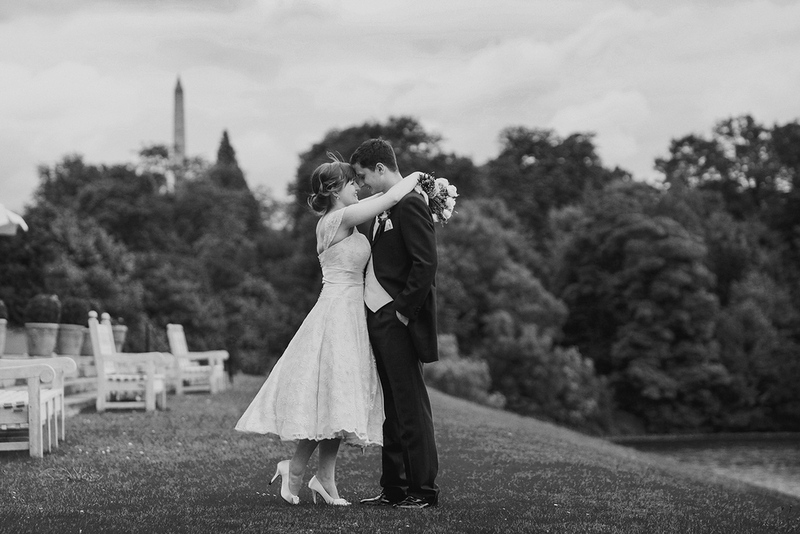 We first met Chrissie and Nigel at a wedding fayre at our chosen venue. We instantly fell in love with the pictures and after talking to them we knew from their relaxed and professional attitude they would perfectly represent our wedding. On the day we couldn’t have asked for more, they captured every detail in such an unobtrusive and friendly manor. It speaks volumes that we struggled to narrow down the shots for our stunning Queensberry because they were all just so amazing. Debbie and I can’t thank you both enough for enhancing our wedding experience with the service provided before, during and after the wedding. The most prominent reason we wanted to have our photographs taken by you both was that we felt that the photographs and the experience meant as much to you as they would to us, and we weren’t disappointed. The pre-wedding discussions meant that we both approached the wedding day relaxed that we would have nothing to worry about with regards to the photography. This was bore out by the professionalism you both showed not just in the photography, but also the way in which you managed the guests in a friendly efficient manner, which we thought was an achievement in itself. The photos themselves are superb and really are what we both wanted from our wedding day, a testament to not only to your photography skills but in delivering exactly what was discussed before the wedding. With so many wedding photographs to choose from we found your advice on how best to produce the wedding album immeasurable. The timing in the delivery of the subsequent album and mini albums occurred before we actually anticipated, which again removed any worries. In summary it wasn’t just the quality of the photography, it was the honest and friendly manner in which you both approached our wedding day that made our decision the right one. Thank you so much for all of your help on our wedding day, not only taking wonderful photos but Chrissie helping me get into my dress and tidying up after us (we were so messy!) You helped everyone keep calm and relaxed. You were both so professional and so friendly, we could’nt have asked for anyone nicer. You’re probably tucked up in bed at this time of night but just had to tell you.....I told Gavin I would wait for his return before I watched the slideshow....I couldn’t wait! I love, love, love them truly. Everyone told me make sure you are happy with the choice of photographer it will be the ‘only’ thing you have to keep from the day and how much do I know now that I made the right choice. We are just back from honeymoon and wanted to say a really BIG THANK YOU for your fantastic photography which gives us the lasting memories of our day. All credit to you both, I have lost count of our friends and family that have said you are the very best photographers they have ever met and felt that by the end of the day you were friends not just ‘wedding photographers’, that means a huge amount to us and you have certainly left a lasting impression with everyone. We were fortunate to be able to view the pictures whilst on honeymoon in Malaysia and I had tears in my eyes at how you had captured moments we didn’t have the opportunity, or either of us didn’t see with the preparation of our special day. We absolutely love our photographs. They are truly amazing. Dave and I had a wonderful day, not only were you ace photographers on the day, your co-ordination of the day was an amazing help. So many of our friends and family commented on how professional and kind you were as photographers. You both were so much more than photographers on our day and we are all so very grateful to you both for your help and support throughout the entire day! We shall be passing your details along to our friends with a strong recommendation of your services. Thank you for all of your hard work over the last 6 months. Thanks to you, we have the most beautiful photo’s to remind us of our perfect day. On the day everyone commented on how friendly you both were but also how professional and discrete – some of my favorite photos are the ones where people had no idea that you were taking them. The compliments have continued with everything that you have produced for us. The thank you cards were beautiful – so beautiful that someone commented that they felt like they should send us a thank you card for the thank you card! The treasure the dress day was so relaxed and the photo’s are so wonderful – so different. It was so nice to enjoy wearing my dress again after being well and truly tired of the weight of it on the wedding day. Finally the album – I don’t know what to say – it is utterly perfect, and the way you have designed it – it tells the story of our day so beautifully. Thank you for all of that – and for making us so welcome in your home. We absolutely love our wedding pictures and want to say a huge thank you for the beautiful pictures and for capturing every moment of our special day so that it really does tell the story. We have debated for weeks over which photos will make it into our album and could still argue for any other photo to replace the ones we have finally chosen! The day was more than we could ever have dreamed of and you made the photos so easy and enjoyable. You were just there in the background being friendly and blending in and yet managed to get everyone into position and looking where they should be so quietly and quickly and then catch some great natural ones in the process too. Thank you so much for doing such an amazing job at our wedding. We loved having you both there and we felt like you were sharing our day with us and not just taking the photographs. So many people, both young and old told us how brilliant they thought you were and many of those asked how we managed to find you! We absolutely love our photographs, thank you again. You two were the glue that held the day together! Without your help we probably both would have got stuff wrong or made mistakes, etc. I have to say, even without having seen photos yet (which I am sure will be flawless), that you guys were absolutely AMAZING all day long. Thanks again guys, I can’t say enough good stuff about you both. I don’t think we can really express what an amazing job you both did at our wedding and how grateful we are. You two are just so lovely, professional and talented- we couldn’t have asked for anything more. You truly went above and beyond and made everything feel so natural. It felt more like you were guests than photographers! We have had so many comments about how fantastic you both were. We’ve seen the photos on the website and they are stunning- I have no idea how on earth we are going to go about picking ones for an album! We also wanted to say thank you for the beautiful framed print that found it’s way onto our guest book table- it’s gorgeous! So, in conclusion, thank you thank you thank you thank you! We’re really looking forward to the next step of meeting up again and creating our album. Thank you so much for being our photographers on our wedding day. You were both brilliant and everyone has been saying how brilliant and professional you both were. we both felt like it was having friends at our wedding as your are both so friendly and caring. Chrissie I would like to thank you so much for your help with my dress and veil on the day. You helped me sew my veil back on to the comb (with your box of tricks) as it had come off and you also helped me hook my dress up on the evening and kept me calm while getting ready. You should have been my bridesmaid ha ha!! Gary would like to thank Nigel for calming him on the morning before I arrived. Thank you so very much for the photos they are absolutely fantastic, and we have had a good laugh at all the little moments you have managed to capture, like Peter checking for the rings and Dad with his head in his hands during the speeches! Thank you both again for all your hard work! We don’t even know where to begin to say how grateful we are for being part of our wedding. We were so impressed with your calm attitude and professionalism. Our family and friends were very impressed too! Chrissie – the girls and I were so grateful for your help in the morning. You were a font of knowledge on the day, knowing which side buttonholes go on, and how to do up awkward dress buttons etc! You were such a calming influence on us all and we are so grateful. Nigel – It was clear to see your enthusiasm for your work when you captured that picture of us having a ‘moment’ through the window, as well as the fact that you knelt through all of the speeches to capture some fantastic photo’s. I hope your kness have recovered! We have just seen the photo’s and are so impressed. You have captured what was the best day of our lives perfectly. Our warmest regards. Well what can we say!?! WOW!!!!! What an amazing job you guys have done...not that we had any doubt that you wouldn’t! You have created the most beautiful wedding pictures we have ever seen and have got them ready for us to see so quickly! Amazing! Rob and I would like to wish you a massive Thank you for taking all the wonderful photos on our wedding day. Everything was perfect! and you both did a fantastic job. Rob and I agreed that the little extras, such as helping the boys sort their cravats, and helping me, the bride with the dress and veil, just showed how fantastic you both are at your job. First of all thank you so much for the beautiful photographs – we are completely thrilled with them and we will have a very difficult time deciding which ones to put into an album. It is a close run thing but I think my favorite one is where Gaz’s auntie is pouring confetti down my dress! Also, thank you for how wonderful you were on the day – you really made it so easy to have our photos taken, and so many people commented on how lovely you were. My pregnant bridesmaid, Louise, thought you were so great that she recommended you to her brother. You have been booked to do Kevin and Helen’s wedding at Jesmond Dene later on in the year. We love the pictures in the galleries, you have captured every emotion of the day. Would like to thank Christina for her help on my cousin Hannah Walker’s beautiful wedding day, you came to my daughter Gracies aid and stitched her dress when it ripped and put a plaster on her knee when she hurt herself.